Whether you’re looking to drive, chip, putt or ride around in the golf cart holding the cooler, Virginia Beach has what you need to make sure your game stays on par during your visit. With more than 198 holes of golf from which to choose, VB has something for every handicap, including courses and holes designed by some of the legends of the game. From Signature at West Neck, which is an Arnold Palmer Signature Design, and Virginia Beach National, designed by Pete Dye and Curtis Strange, the courses in Virginia Beach will challenge your game and elevate it to the next level. 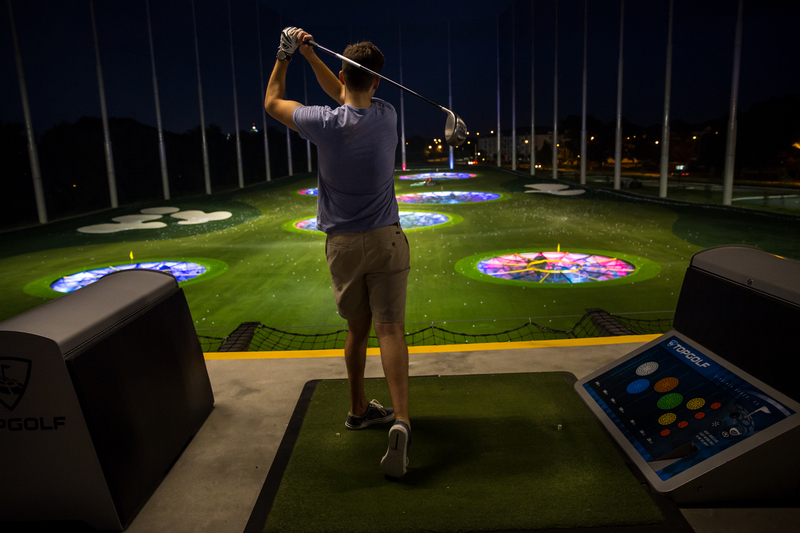 For those who spend more time in the hazards than on the green, TopGolf, near Virginia Beach Town Center, may be exactly what you need. Their use of micro-chipped balls that measure your accuracy and distance allow you to sit back and relax with some good food and drinks, without setting foot in a golf cart. You’ll never have to hunt for another ball again!